Each year around six million people come to the Munich Oktoberfest making it the world’s largest folk festival. This is, however, not only to the enormous number of visitors, but also to the huge proportions on an area of 31 hectares. Proud indeed, everyone can find the suitable way for their own entertainment. In the large and small marquees you can celebrate glorious typical beer brewed for the occasion, along with crispy roasted chicken or other delights. Whoever has never visited the Wiesn, as the Munich call their folk festival lovingly, can imagine its enormous size. Reason enough to take advantage of their next stay in Bavaria for a trip there. Or you can travel only to the Oktoberfest. With the huge number of visitors at the Oktoberfest, it is created especially morning and evening on arrival and departure, a great crowd. Think of how beneficial it could be if you had booked a comfortable vehicle from our Limousine Services in Munich in advance! This means that at any point, the drivers will pick you up, drive safely to the scene, and take you back to the reception again. Rather you want to continue partying in one of the trendy places, or just want to visit the hotel, it doesn’t matter for our drivers. On the contrary: As a dedicated local knowledge you can even give you many a tip where you can enjoy the evening appropriate. Maybe you have pitched your quarters just outside the big city. There too, we will take you to the reception and bring you back again. The time for our driver’s course plays no role at all; they are their guests at any time competently. When you visit the Oktoberfest alone or as a couple, our luxurious limousines are the appropriate vehicles to take. For small groups we have vans and coaches in the fleet and even spacious buses are available. They all meet the highest standards of course; the comfort of our guests is a top priority with us. This includes if you want it, the all-round support during your stay in Munich. For example, the airport transfer, which will raise awareness conveyed after leaving the terminal to be in good hands. 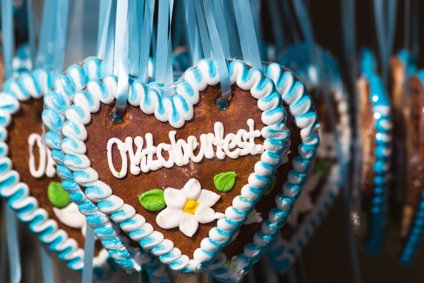 We can also book your hotel, reserve tables in a restaurant (of course, at the Oktoberfest!) and obtain tickets, if you want to visit one of the many theaters. If you during your time in the Bavarian metropolis suddenly change your wishes? Also on our chauffeurs set quickly. Because they are flexible throughout. With discretion, competence and politeness they care for their guests. Durch die Nutzung der Website stimmen Sie der Verwendung von Cookies zu. Lesen Sie mehr.